Are you a go-getter who can help spread the world about an amazing organization that is working to put a STOP to bullying? Event Coordinator (s) for all of our special events and fundraising events / End of the year GALA, etc. These are unpaid positions with so much amazing potential! Here’s what you need to know about the organization. 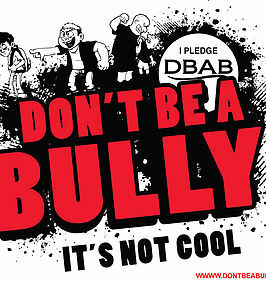 “Don’t Be A Bully! Speak Up! Speak Out!” is a motivational and educational theatrical production that addresses the epidemic of “bullying” we are now facing in our schools and communities. Youth are educated about bullying through dialogue, dance, song and crowd participation. Our production focuses on the importance of our youth“SPEAKING UP, and SPEAKING OUT”. Many of our youth fear SPEAKING UP and reporting bullying because they are too afraid of the consequences of their actions. However, through this motivational production kids will be encouraged and motivated to “Speak Up and Speak Out! against bullying. Through the Don’t Be A Bully! Speak Up! Speak Out! Production we hope to save the lives of students, and promote positive learning experiences for all involved. My daughter Mikaela was recently chosen as an actress to take part in the DBAB stage shows and events. This is so great that she will share in the love to promote such a positive cause. I am happy to know Kim Cantey, the founder and with your help we all hope that this program will be in every school in Georgia! If you want to be a part of something great then contact Kim at dontbeabully@hotmail.com.